2019 is the year where top rugby nations will battle it out for the coveted world champion’s crow and also an opportunity for New Zealand to retain the crown after a successful outing during the last edition. The tournament will be hosted for the first time in Asia where Japan will play host. This tournament will bring together the best of teams that have in the past displayed entertaining performances that will be the hope of many. The hosts Japan will open the tournament with a fixture against Russia on September 20th, 2019 when the tournament kicks off. For many the team to watch will be New Zealand who will be hoping to retain the trophy after emerging winners in the last edition. The Ireland team is proving to be the upcoming force after a superb form in the recent past. England on the other hand have had an unpredictable build up to the event but there’s nothing to be left to chance as you cannot predict the top contenders in the tournament. The 2019 World Cup Blog about Rugby tickets are sold through ballots and there has been a series of these ballots in the recent past. However, there’s no need to worry as several tickets ballots will be conducted in the coming days and months in case you have not yet got one. There will be a ballot between September 19th- November 12th and its open to the public and in case the tickets are not exhausted the rest will sold from January 19th on a first come first-served basis. 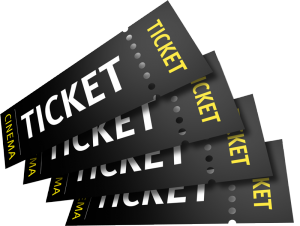 The tickets vary in the price as the top game which will be the final costing 700 Euros for a category A tickets while the average price for the low-key group games will be 14 Euros. Apart from a recent defeat by South Africa, New Zealand have had a fantastic run with only for teams beating them since the end of the last World Cup. They have also had a superb point run averaging 37 points per test in their last 10 tests. Ireland is a real threat to in the world cup, having achieved the second world ranking under the guidance of head coach Joe Schmidt. But this is not all as on November 17th all roads will lead to Dublin where Ireland will face The All blacks and if they beat them in this match, then we can count them as serious contenders in the tournament. Though they have never reached the semifinals at the previous tournaments they are not to be ruled out this time round. Kenya, Germany, Canada and Hong Kong are still in the journey of knowing who will fill the remaining position to complete the available slots.